Mention popcorn ceilings to the average Atlanta property owner and you are likely to get mixed responses. In this past decade, most homeowners are not too keen on them and are likely in the market to try to find a professional to take care of popcorn ceiling removal in Atlanta. On the other hand, many investment property owners who rent out their homes are rather fond of them. More than likely you have at least seen popcorn ceiling, maybe even have it in the place you call home now. It is a spray on texture that gained popularity in the 80's and the final look resembles cottage cheese. While in the past few years it has been a popular service request to have this removed, lately there has also been a rise in the number of people requesting to have this texture applied to their own ceilings. Popcorn ceilings became popular for their ability to hide blemishes and imperfections. This is a much easier texture to work with on a ceiling than a smooth, flat one. A major reason popcorn ceilings are frowned upon is that there is no easy way to cover or remove it. Painting it does not provide quality results and removing it is a tedious task that must be carried out by a professional painting contractor. This type of ceiling was, and still is, popular because it a a cost-effective approach to covering a ceiling. Spraying this texture on as opposed to hand painting the ceiling saves time and money. Another reason it gained such popularity with commercial and investment property owners. Another disadvantage of this ceiling material is that it is not easy to repair. So if there is damage from a leak for example, the repair work area is likely to be noticeable. The only other option is to replace the entire ceiling, which is not cost-effective. Working with a reputable Atlanta painting contractor is the best way to learn what you need to know about the pros and cons of popcorn ceilings. Even more important, working with an established expert will provide you with the quality application or removal you may be seeking. 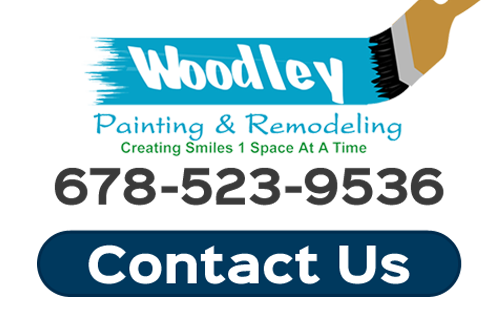 Here at Woodley Painting & Remodel, we have over 25 years of professional painting service industry experience and have worked with a wide variety of textures. 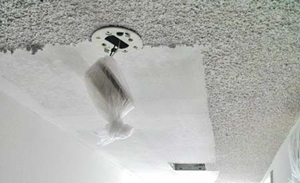 So whether you end up wanting popcorn ceiling applied or removed, either way we can provide this service. Not only that, but you can be guaranteed that you will be beyond content with the results. Contact us today to learn more about our service for texture application or removal in Atlanta. Do you need a professional that does popcorn ceiling removal in Atlanta, GA? Call 678-523-9536 or complete our online request form.